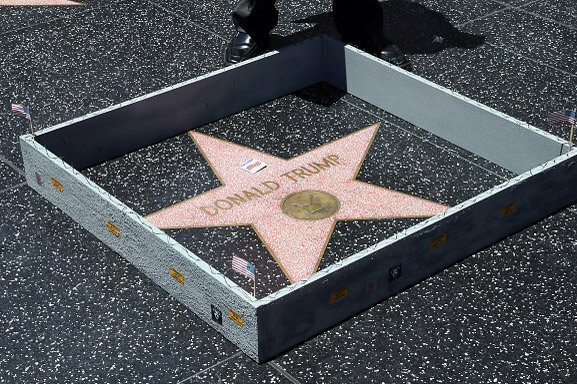 July 25, 2018 – President Donald Trump’s Hollywood Walk of Fame star was vandalized overnight. According to eyewitnesses, a man used a pickaxe to destroy the red marble marker bearing the president’s name on Hollywood Boulevard. Per sources, the perpetrator concealed the pickaxe in a guitar case. President Trump had originally received his star on the Walk of Fame in 2007 for his work on NBC’s The Apprentice. The suspect turned himself in at Beverly Hills police headquarters and was turned over to Los Angeles police. 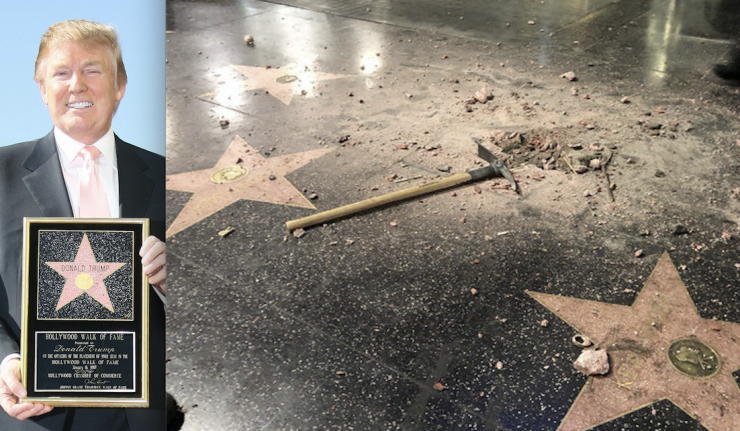 He “called police and advised he had vandalized Donald Trump’s star and basically called on himself and said, ‘See you soon,’” Lt. Karen Leong of the LAPD’s Hollywood Division.